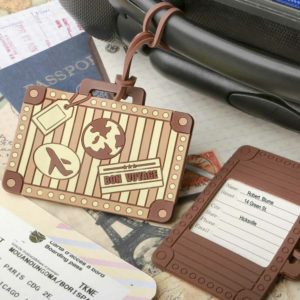 Personalized bridal shower tags add a wonderfully personal touch to your bridal shower favors. 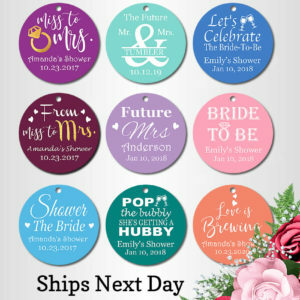 Whether you fill your bridal shower favor boxes with candy or brilliant baubles, all you need is unique packaging and bridal shower tags to get your guests gushing! 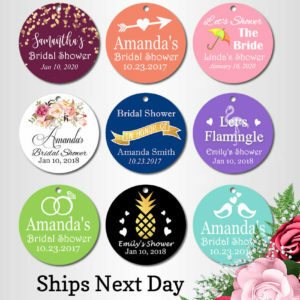 Personalized bridal shower tags are an inexpensive idea that help you create a beautiful finished look to your party favors and gift bags. 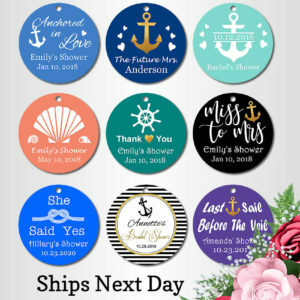 Contact us if you need help with ordering our Personalized bridal shower favor tags, bridal shower tags, bridal shower thank you tags.